I’ve mentioned before that we have regular play dates with our neighbours. 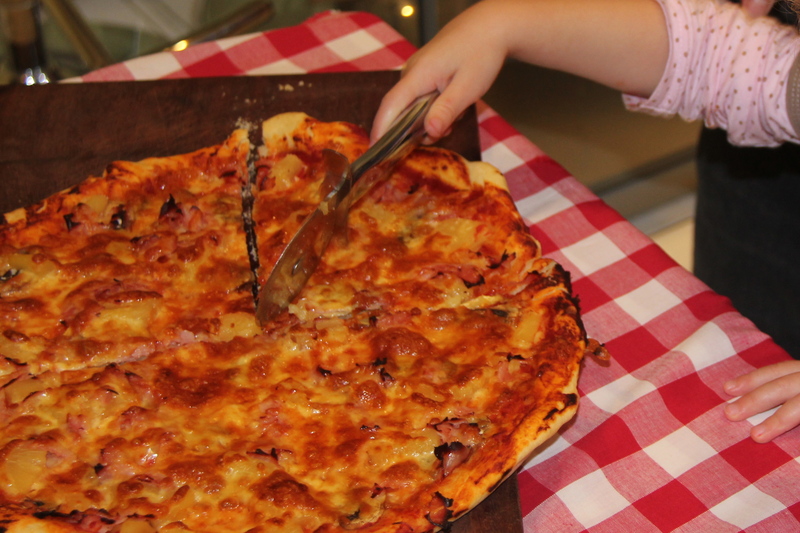 The kids have all been enjoying some pretend ‘pizza making’ play together so we thought it was appropriate to have a “Pizza Party” and make our own pizza’s. 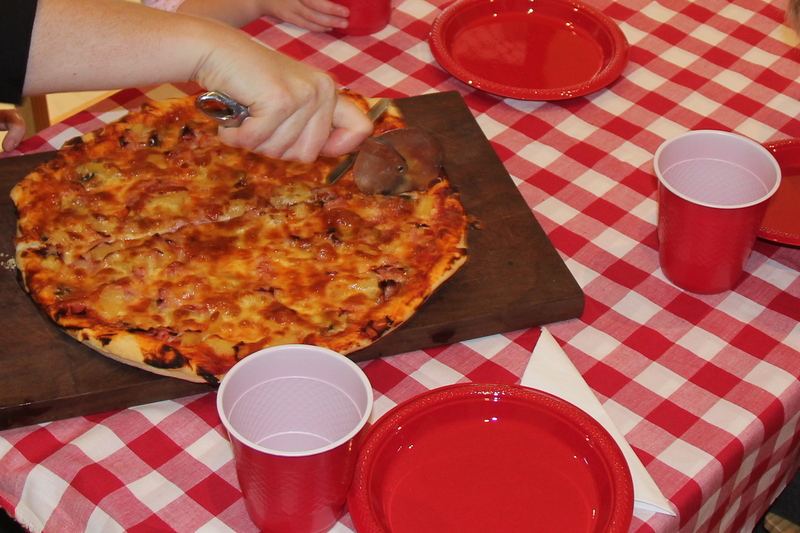 Pizza’s are a great meal that kids can actually really help with so if your kids are wanting to get into the kitchen, pizza is a great place to start. First we did a pizza collage using some cut up foam shapes and a paper plate. 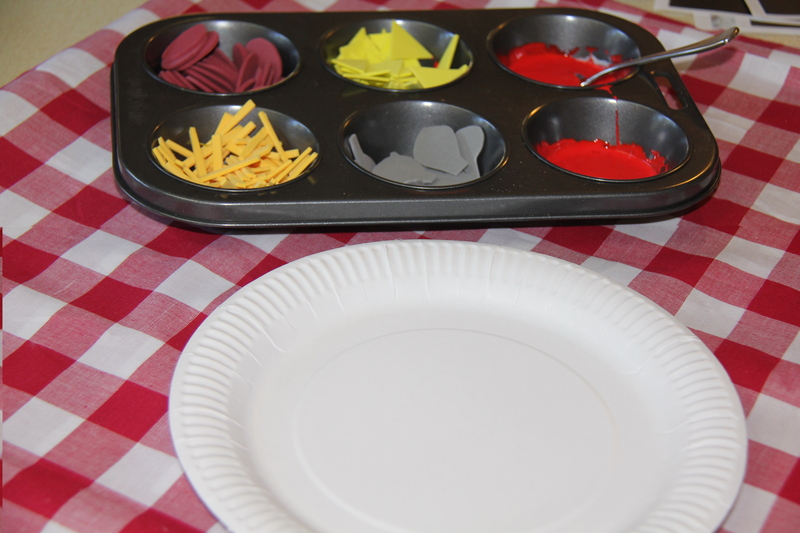 Using their fine motor skills, the kids put ‘tomato paste’ glue onto their paper plates and then decorated their plates with the ingredients. 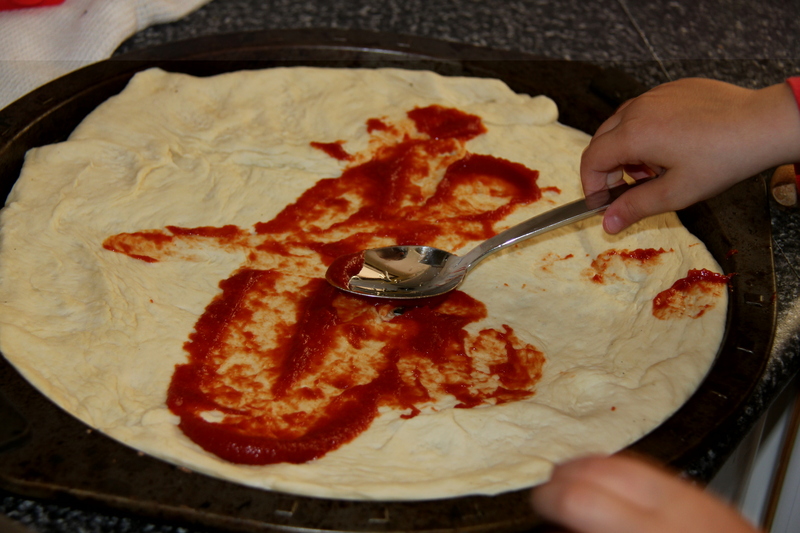 Then we moved onto the all important real pizza making! 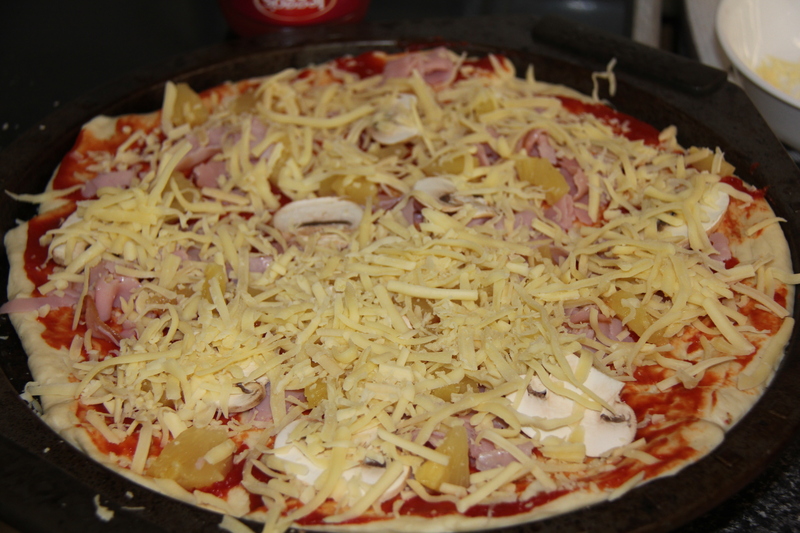 First we prepared our ingredients, cutting pineapple pieces, ham and mushrooms. Using our Kiddy Kutter safety knives, the kids were able to cut their ingredients completely safely without too much input from the mum’s! 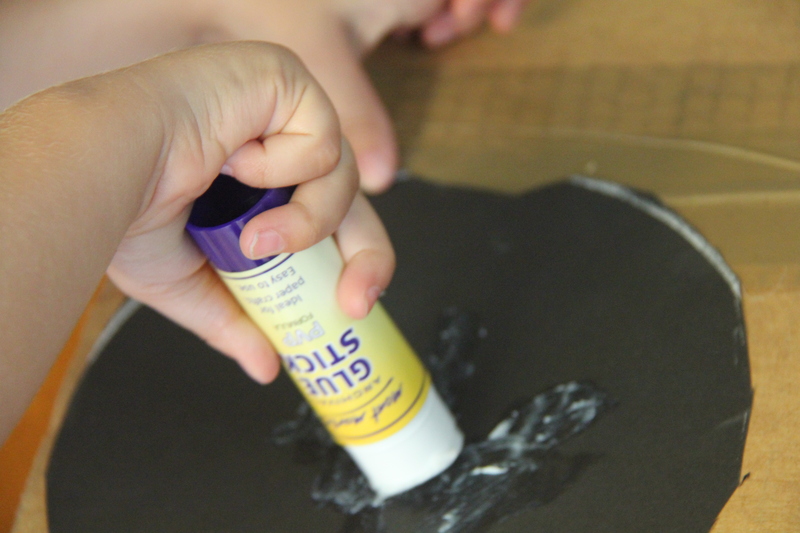 Great for developing independence and confidence, not to mention fine motor skills. Thomas was reluctant to touch the ham – he didn’t like the feel of it (and doesn’t like the taste either!) 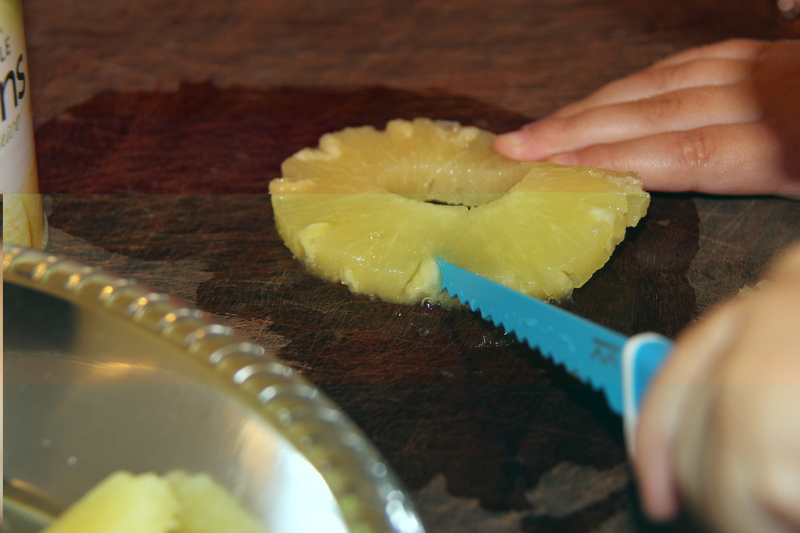 but he loved cutting up the pineapple (and having a few tastes while he was doing so – chef’s privileges!). Then all the other toppings. 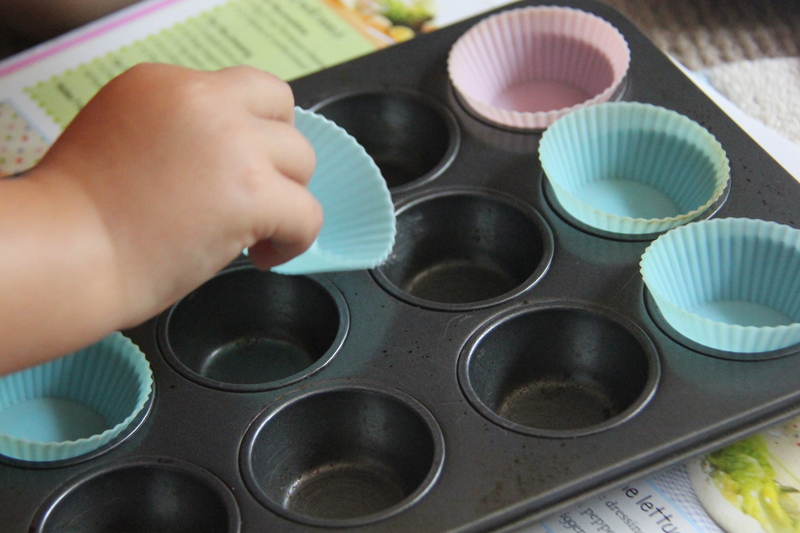 During our cooking, we used lots of descriptive words such as ‘roll’, ‘spread’, ‘sprinkle’ and many others. We also sang some cooking songs (basically made up words to familiar tunes). We stuck to pretty basic ingredients but obviously you could use any ingredients you like. 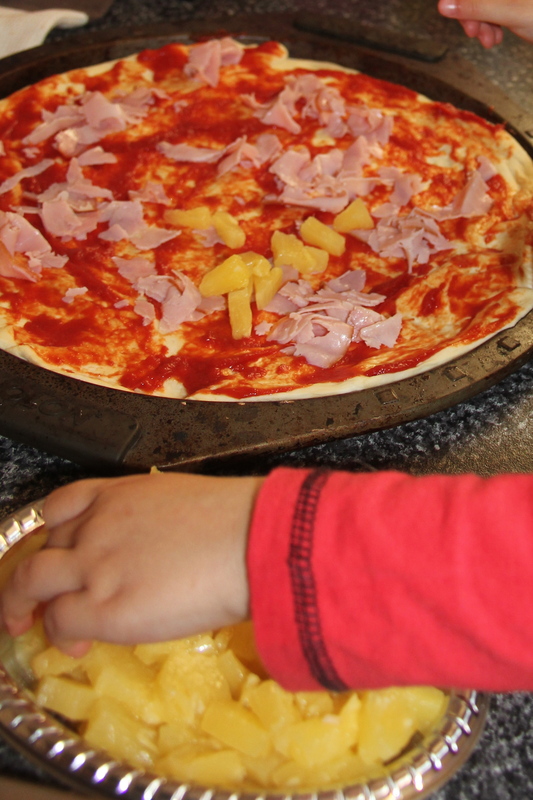 Thomas has only just recently decided he likes pizza so we made it simple ham, pineapple, mushroom and cheese. They look pretty yummy! Ready to go in the oven. 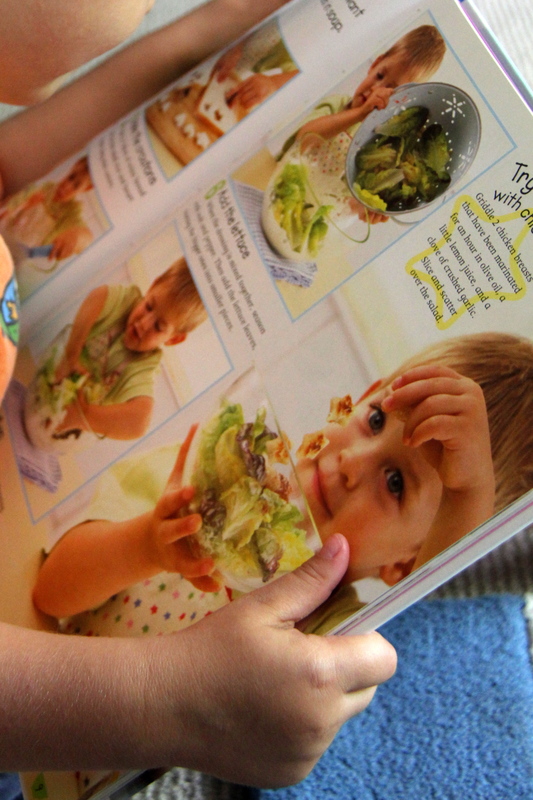 It was great for the kids to see the transformation from uncooked to cooked. 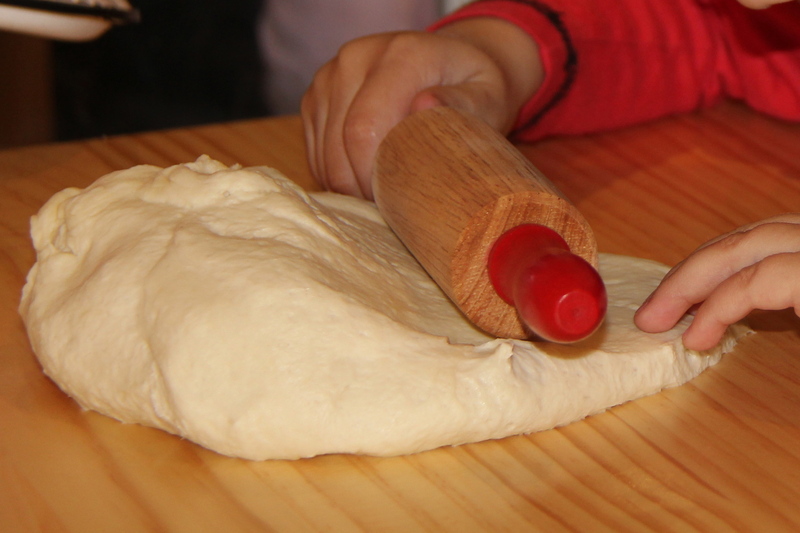 Cut cut… We took it in turns to use the cutter to cut the pizza. We all had a lovely day. The kids were relaxed and played with each other so nicely all day and we all enjoyed a yummy homemade lunch! Thanks for a fantastic pizza party girls! 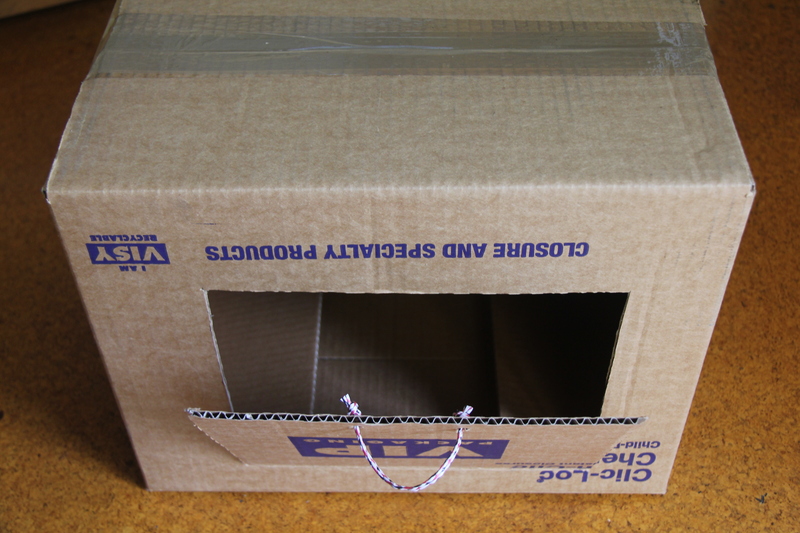 We had a quiet day at home today and with some empty boxes lying around it was a great day for creating something. 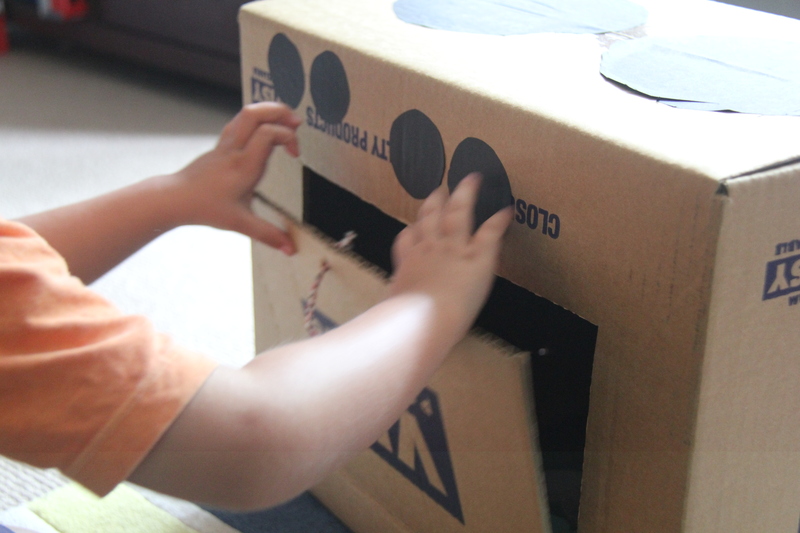 Kids love boxes – they love painting them, climbing in them, drawing on them, putting things in them, pushing them around etc etc. The list is never ending. First we cut out circles for the hot plates. 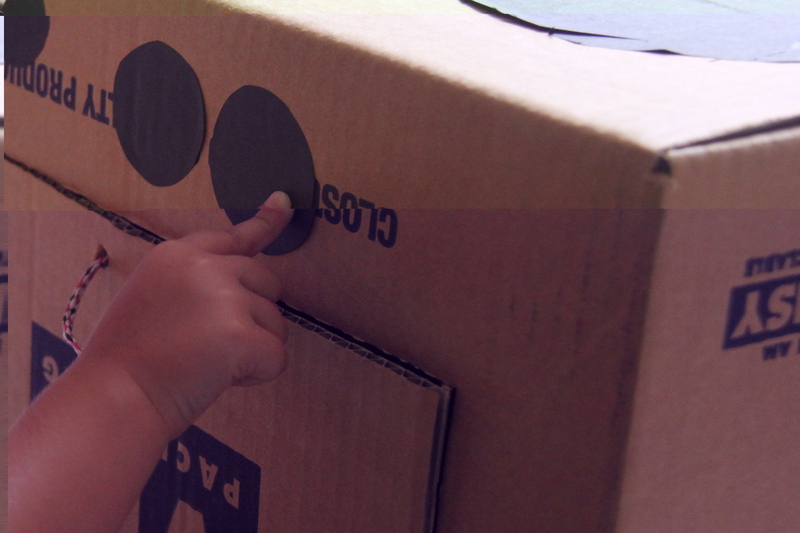 Cutting along a line – especially a circle is quite difficult for young children so you may need to provide some assistance. We cut a square hole in the box and attached some string so we could open the oven door. 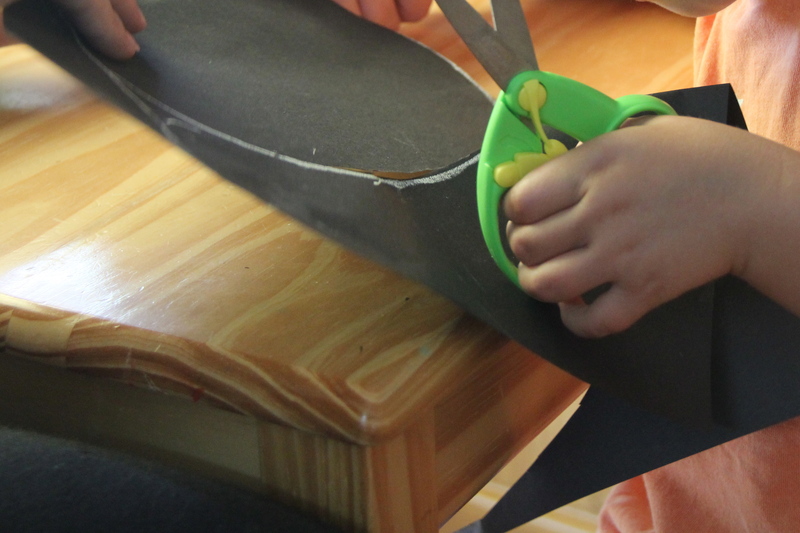 This is a step only for grown ups – I used a stanley knife to cut out the hole and put in some small holes for the string. We had so much fun creating our oven and playing with it. 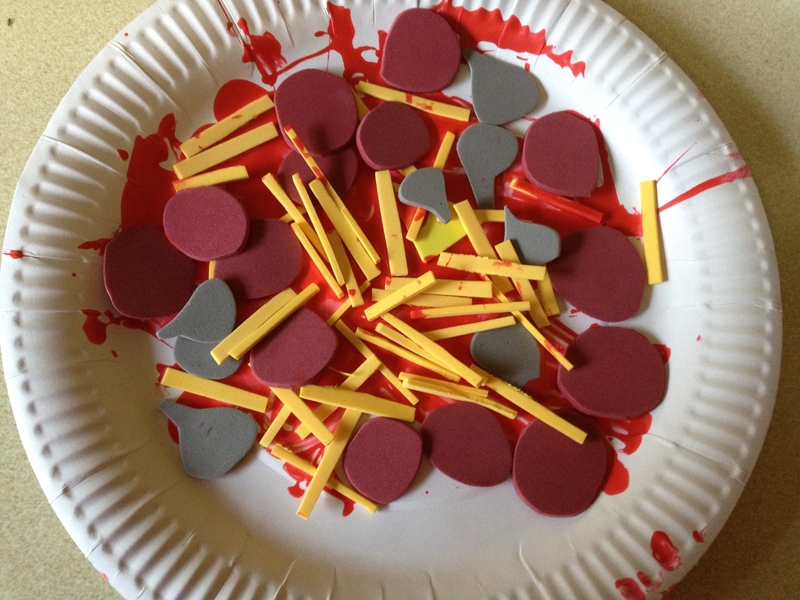 There are so many skills that Thomas was developing during this activity – fine motor skills, imagination, language and literacy skills, hand eye co-ordination, working together, following instructions to mention a few. 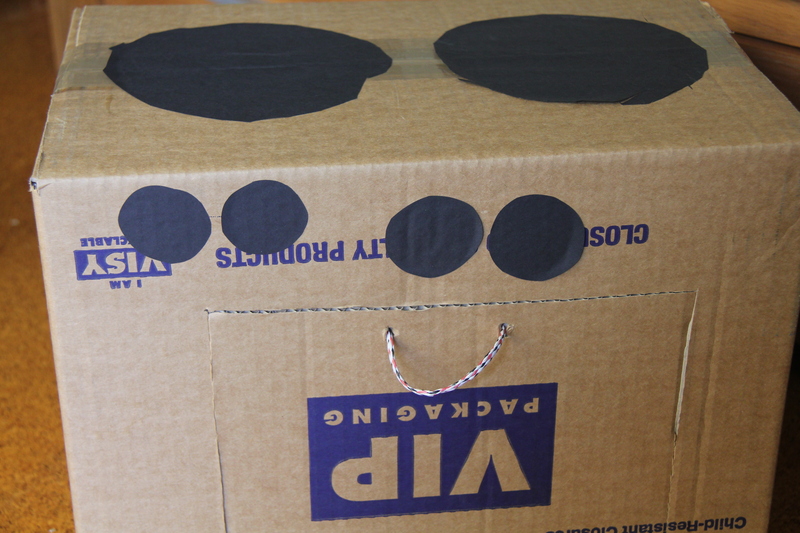 What big box craft have you done?